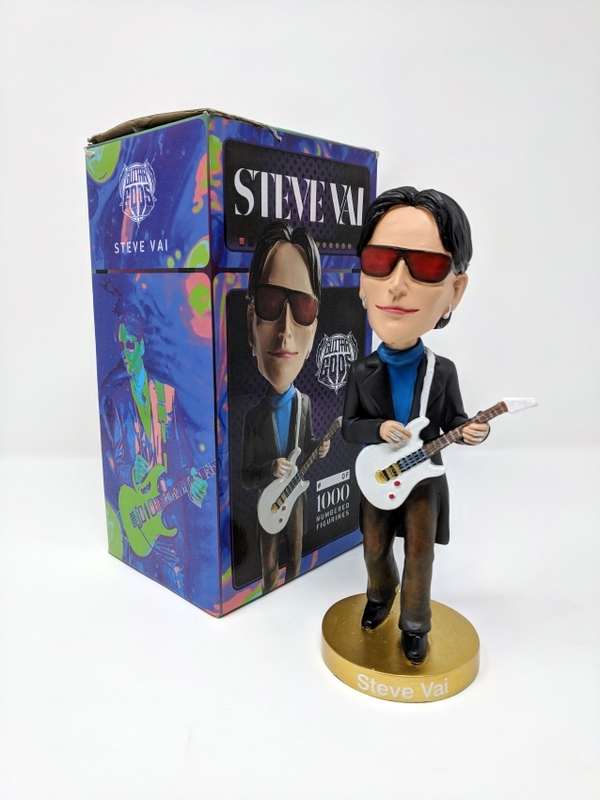 Up next in Guitar Gods' series of officially licensed numbered limited-edition collectible figures is none other than legendary guitarist Steve Vai. 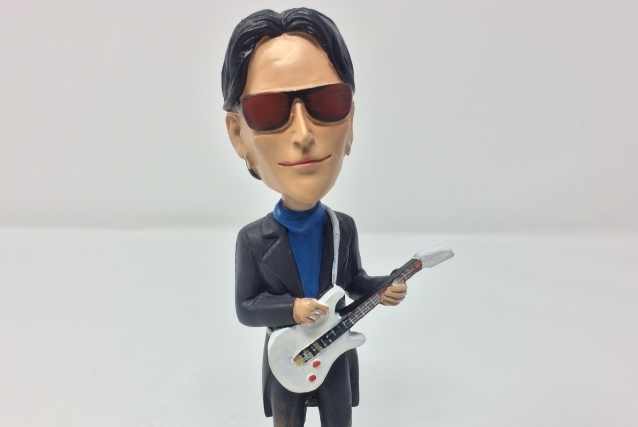 This figure representing the musician is limited to 1,000 numbered units, stands at seven inches tall, and is made of a lightweight polyresin. Guitar Gods launched in the summer of 2011 with an uber-cool Johnny Winter figure, a limited-edition seven-inch polyresin bobblehead packaged in a multi-panel box. It featured a button on the figure's base, that when pushed Johnny screams "rock 'n' roll"! The figure quickly sold out and was been praised by fans and the press alike. A few months later, Guitar Gods announced two more limited-edition "Guitar Gods" figures in the form of Wayne Kramer (MC5) and James Williamson (THE STOOGES), both musicians named in Rolling Stone magazine's "100 Greatest Guitarists of All Time." All Guitar Gods figures are also available at many independent retailers, comic shops, tattoo parlors, etc., via distribution by MVD Entertainment Group — a company specializing in music-related distribution since 1986. Guitar Gods is a sister company of Aggronautix, an organization specializing in punk rock and counter culture collectibles.